My resolution last year was not to bite anyone. Can you believe I kept a hard resolution like that one? I’m telling you, there were times when it was touch-and-go, but I always pulled through in the end…or my intended target got away. Doesn’t really matter how I did it, does it? The important thing is that I did it. I did not bite anyone for an entire year. I don’t expect accolades but I certainly deserve them. I spent many a long hour wondering how I could top last year’s resolution and do something just as impressive but not as hard. That was a difficult task, thinking. 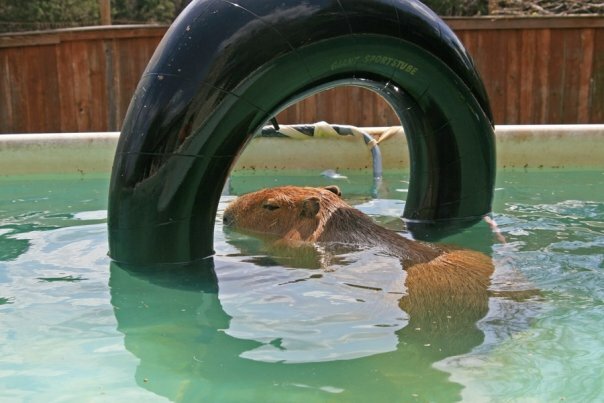 It is not something we capybaras like to do much. Finally I decided to dream about it and whatever happened in my dream would be my resolution (as long as it wasn’t too hard). Believe it or don’t, my plan worked! I actually had a dream that I can make into a resolution. And it’s a wonderful resolution, if I do say so myself. Plus, it shouldn’t be too hard, at least not for me. I dreamed that my owner was working on her computer and I was watching her typing away like a mad woman. Can you guess what my resolution is? I am going to write my autobiography! I hear what you are saying, “Wow! That is a great resolution. I can hardly wait to read your autobiography but won’t that be hard? I mean, it’s not that easy to write a book.” I hear you. Those are excellent points. 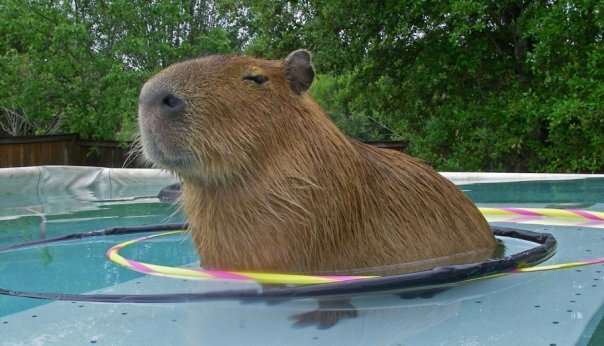 But you forget one important thing: I am a capybara. That means I don’t have to do the writing myself, I can have my owner do it. Mind control is how I do it. Humans generally have weak minds that are very easy for an animal to control. 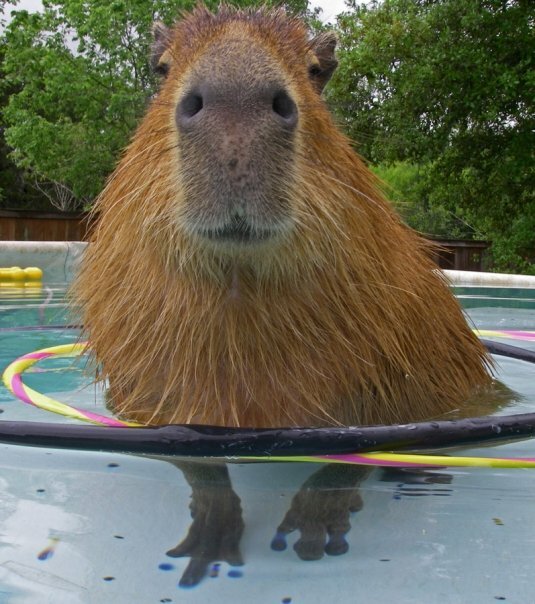 The cuter the animal, the easier it is to control the human’s mind. You can see that I have no difficulty. The only thing is my autobiography might come out sounding like a biography. 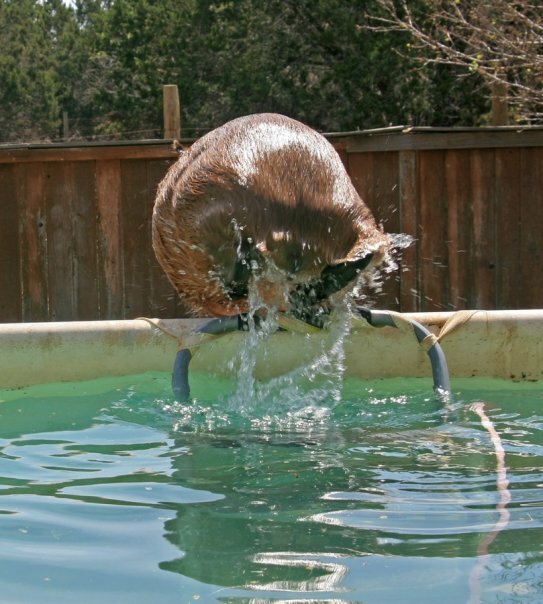 I’m thinking it might be too hard to force my owner to think my actual thoughts. It is easier to get her to think thoughts about me. But you will all know it is my autobiography, right? 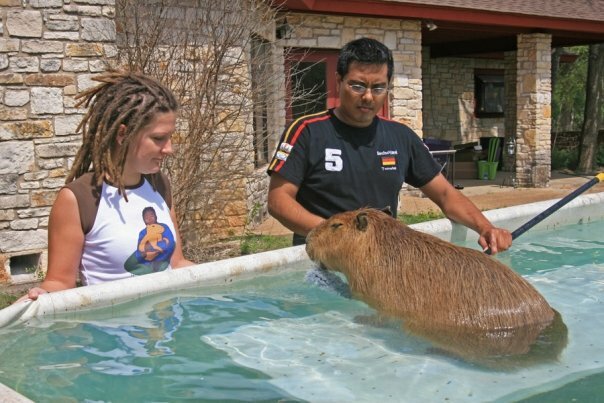 My owner and I have already written one book together, Celeste and the Giant Hamster, and that was a piece of cake except that it had way too much cat stuff in it and not enough capybara. First, congratulations on your bite-free year! That is an excellent accomplishment, and you should be proud of yourself. Happy New Year, Caplin (and Melanie and the co-pets, too). 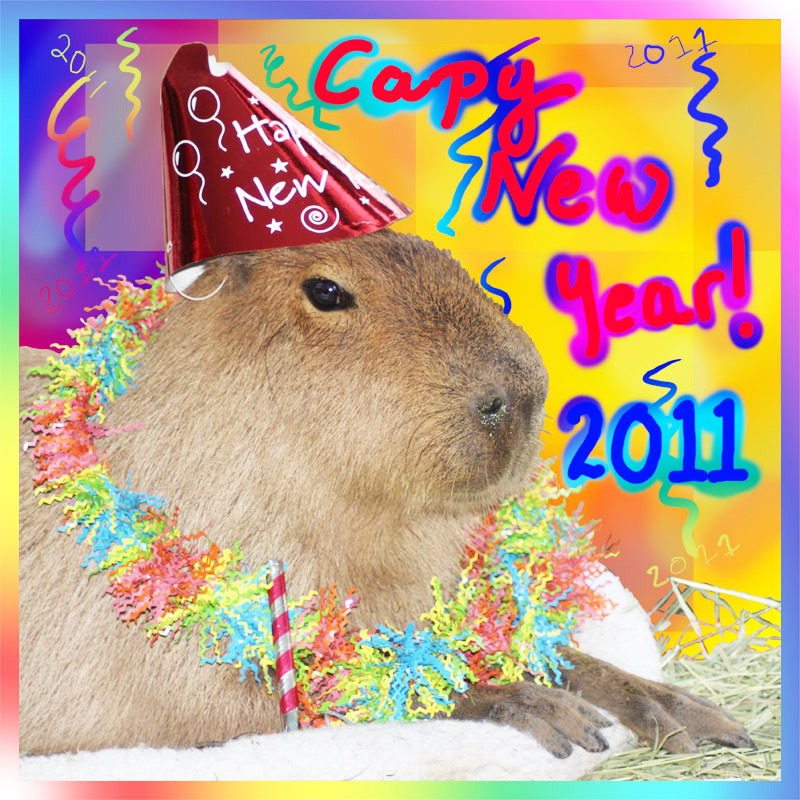 You may be one of the few people or capybaras to actually keep a resolution! Congratulations! I’m sure if you choose to channel your autobiography through your owner, it will be a real winner. My CappyCopy appeared in my Christmas stocking! I was so happy! Hurray, Caplin! 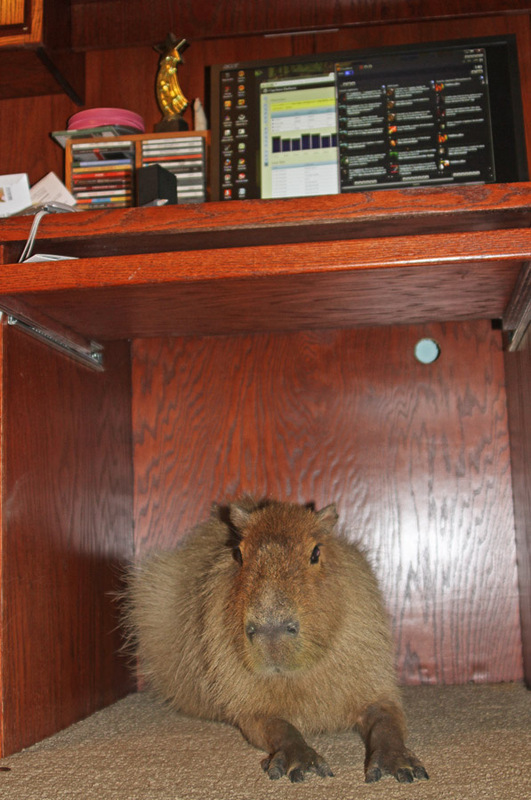 I am writing a book, too, sort of, but it won’t be an autobiography like yours. Maybe we will both have books this year! Happy new year Caplin. Your idea about mind control seems crazy. 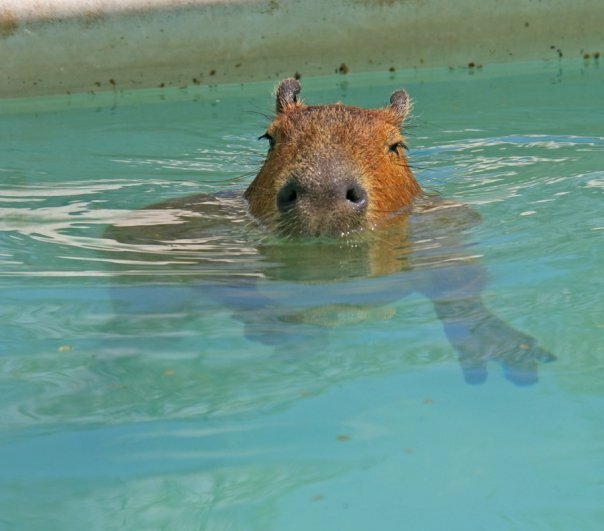 MINNND CONTROLLLL……….. I am so excited about your resolution; I can’t wait to read your autobiography. I am sure you will be able to do a wonderful job of writing through your owner and I’ll bet she is very enthusiastic about doing your ghost writing. You have had an interesting life and your followers are anxious to know more about you. We look forward to an actual book signing with your fans in attendance. We could have yogurt, blueberries, and other yummy treats. New York times bestseller for sure! Wishing you the best of luck on your bite-free, autobiographical pursuits!! 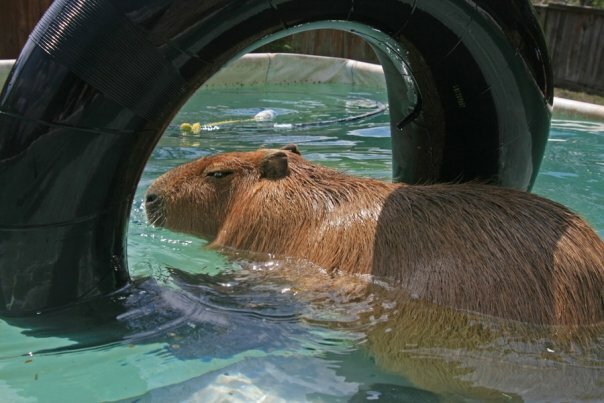 It has been delightful learning about you, your co-pets and your owner on gianthamster.com, even though we know you’re not really a giant hamster. I love Bradypus sloths and I am glad to learn more about wonderful Central/South American mammals!!! 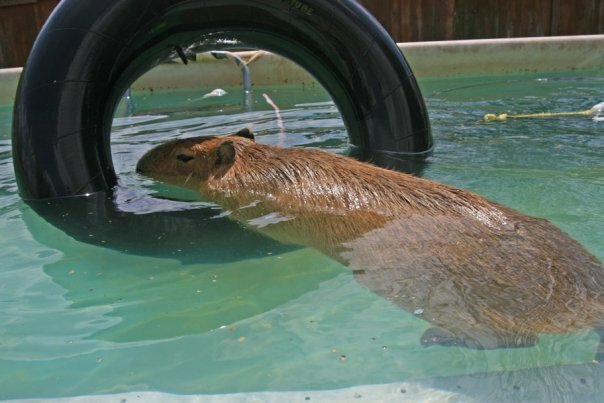 Thank you so much for sharing the capybara standard poem: I sent it to several of my poetry- and animal-loving friends!!! I really cnnot wait to read your autobiography! Mind control— That’s the way to do it!